Are you from Chicago originally? No I was born here in Memphis Tennessee. My mum and dad were separated so when I graduated from high school she sent me to live with him. So I went up to Chicago and I went to junior college. My dad was a manager at a hotel there, back in the day. I started junior college and from there I met a conga player called Daktori. We did some talent shows together at the college long before I met the rest of the guys. I’ll fast forward about a couple of years I had some guys on the Southside of Chicago because I played trumpet, drums and bass guitar, not too far from where I was living. They were trying to form a band and they needed a trumpet player to play some gigs that they had coming up. At that particular time we didn’t have a name. I joined that group which later became the Sons Of Slum. We started playing weddings and different night club spots around town. We met this guy who could play the saxophone and his act was basically based around Junior Walker, who was big at the time. He ended up joining up with us and we became a group called Joe Evans and the Supersonics. His name was Joe Evans and he could play the hell out of that saxophone. As time passed, you know how things happen with bands? Bands have problems. There was Joe on saxophone, another guy on saxophone and myself. Joe and this particular guy couldn’t get on very well. One night we were playing Joe Evans fired this guy on the spot at a night club and we got a little upset about it. We all quit at the same time. Once we quite we kept the name Supersonics and went out on our own. There was a club in Chicago called Club Motown and we were playing at this club when I gentleman walked in by the name of Mel Collins. He was married to lady by the name of Jo Armstead. Anyway when Mel saw us he asked us to come by the studio. We went to his studio and by the way that studio was across the street from the Staples Singers studio. We went in and started working on some songs. Mel wanted us as an underground group. We got with him and he asked us “how would you like to change your name to Sons Of Slum?” He had this vision of us becoming this underground group that you couldn’t just find on regular radio. We were cutting songs about smoking reefer, smoking marijuana. It was his idea and concept to make us underground. At that particular time I didn’t know what underground was. Most of the guys in the group didn’t know what underground was. That was his vision for us. We all voted on it and decided to become the Sons Of Slum. Now Mel Collin’s wife had written a song for a guy called Garland Green who had a song out named ‘Jealous Kind Of fella,’ which was a big hit. We started travelling with Garland because Mel was managing him. His wife had written some songs for him. They had a bit of money because one of her songs had been on the flipside of BJ Thomas ‘Raindrops Keep Falling On My Head.’ She was able to pick up a little money. We started travelling with Garland, but we kept telling Mel that we didn’t want to be a backup group. We wanted to be our own show group, kind of like Sly and The Family Stone that was our intentions. Fast forward another year or so Mel realised that he couldn’t get us to want us to where he wanted us to go to and Pervis Staples, who was one of the members of the Staples Singers, used to come over across the street and hang out with Mel a lot. He would be listening to us rehearse. When he found out that we were looking to move away from Mel he asked us to be the backup group for The Emotions, who at that time were on Stax Records. We decided to go and get with Pervis. We signed a contract with him with the idea of backing up the Emotions and that we would cut some records with Stax. He agreed on it and we started travelling with the Emotions around the United States. As it would have it most of the nightclubs that we would play would want us back and not the Emotions. We started getting a reputation for our live shows, which were considered by others as being pretty exciting back then. We initially got to Memphis and recorded two singles. One was called ‘The Man’ and the other was called ‘What Goes Around (Comes Around).’ We were in the process of working on an album, which was around 1973 and ‘74. At that particular time it was round about the time that Stax Records started having problems and our album got lost in the middle of all the craziness, which meant we didn’t finish the album off. As we realised that Pervis couldn’t deliver on what he’d promised us we started looking at other options, plus we all families. I had a son and a daughter on the way so we needed to work as a band, we needed to be actively performing. We then got with a gentleman by the name of Ken Freeman, which was round about the time that Kevin got in the group. Ken Freeman was a promoter and he had a band called Chase, who were a big success for him. He got us work all around Chicago in clubs, bearing in mind that we were an all-black group he had us working in clubs that basically didn’t have anything but white groups. So he opened some doors for us because once he got us in there the club owners definitely wanted us back. From there that’s how we got the reputation of being one of the most exciting bands in Chicago because took pride in this exciting stage show. Not only was the music funky but we kept it visual. We had a couple of Mexican ladies from the Northside of Chicago that made our clothes for us. They were pretty imaginative when it came to making clothes and designing costumes. That was our act, exciting music, exciting costumes and that’s what did it for us. Before Kevin got in the group we did quite a few shows where we travelled with the Emotions, Kool and the Gang, the Barkays, Al Greem, Isaac Hayes, The Chi-Lites and pretty much every act that had a hit r’n’b record out we played with them. You name them and we were performing with them. Whilst backing up the Emotions we got the chance to pretty much travel all over the United States. Some of the local acts like Tyrone Davis we actually backed him up on occasions and different acts of that nature. We just got around. We were known as that we could go in and learn pretty much on the spot. I remember we backed Al Green and he came to Chicago with a hit record for one night. We were like let us here it and we’ll perform behind you. We had a reputation of being able to catch onto music fast. There were a few of us that read music, myself and Darnell McCoy the saxophone player. Everybody else were self-taught on their instruments. By the time that Kevin had come along we’d started travelling around the city and playing in the clubs that were basically white clubs, where white bands played only. With the help of Ken Freeman we were able to penetrate those clubs and we drew a following in the white community as well as the black community. We had quite a bit of a solid following around the Chicago area and across the Mid Western area we were pretty popular. We had gotten the chance to do the Wattstax movie before we left Stax, that was in 1972. We didn’t get the chance to be in the movie because they cut us out. The fact is that we flew out there twice to film and we got some California contacts, which was pretty exciting. As things started getting kind of crazy in the group we lost a couple of original members and the gigs weren’t as clinical as they had been back in the day. I’m going to be honest with you I lost interest and at that time I had a young lady that I’d started dating. I decided because of that it was time for me to get out of the group and lead a normal life. This was around 1978 or ’79. I got out of the group at that point and I believed that Kevin kept it going. I’m not sure for how much he did, but I got out of the group and got me a day job. I performed with different groups around Chicago before I moved to Gary, Indiana. I had a day job there but I still played with local groups there. 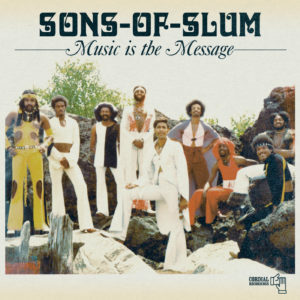 I gave up the full time business of music around that time as far as the Sons Of Slum were concerned. You recorded an album for Capitol Records, do you remember what happened to that? What happened with Capitol records in my recollection was Ken Freeman got us with them. What is ironic about it is that when he got that deal together I wasn’t able to make all of the sessions because I had gotten sick and Ken had flown some people in from California and we were recording at some studio here in Chicago. I made one or two sessions and that was about it. They said “don’t worry about it when we get back to California we’ll add the necessary horns, arrangements and everything that needed to be done. That album did get recorded and it was Ken that told us that the album wasn’t going to be released and it was going to be a write off, a tax write off at some point. I don’t know if that was Ken’s ideas or Capitol Records but as we moved forward we got the music that it would not be released, but we did get front money out of that which enabled us to get a lot of sophisticated equipment that was necessary for us to travel. That album got shelved as far as my knowledge goes and it never seen the light of day. We did get copies of it. I’m not sure where mine is, but there were some pretty nice tunes on it. In my opinion there was two or three nice tunes on that. After your split up with Ken Freeman you self-financed the album that Cordial are releasing in partnership with you? Is that correct? Yes that’s correct. We went into a studio which was owned by Paul Seranno, which was located on the Southside of Chicago. We had a young lady that had taken interest in us and she helped us with the funding for the album. What was so good, the great thing about it was we didn’t have anybody telling us what to do and in other words we didn’t have any restrictions. We went in on our own. Kevin, myself and a couple of other guys all wrote songs. We all voted on the songs and decided on the ones that we would record. We got the band behind us financially so that Kevin and I could go to California to try to get a record deal. We ran into a lot of problems over there but we were able to meet a lot of managers and record producers. The bad thing about it was they would only allow us to come in and they would listen to the first minute or so of a cut. The guys would say “we’ll get back with you brothers.” We’d never anything more from them. We spent probably a week in California. We ran into Joe Jackson there and we had a meeting with him. We went by Polydor Records that were big at the time with the Ohio Players. We never heard anything back so we went back to Chicago and all we could do was to communicate via the telephone to find out or not on whether any of these people were interested in us. We never heard anything back. That was around the time I decided that it was time for me to get out of the group and try to make a living. To be honest with you at that time we weren’t gigging often and some of the gigs that we were doing the money wasn’t substantial enough that I felt that I could continue. I got out of the group and moved to Gary, Indiana. I then lost communication with the band at that time. 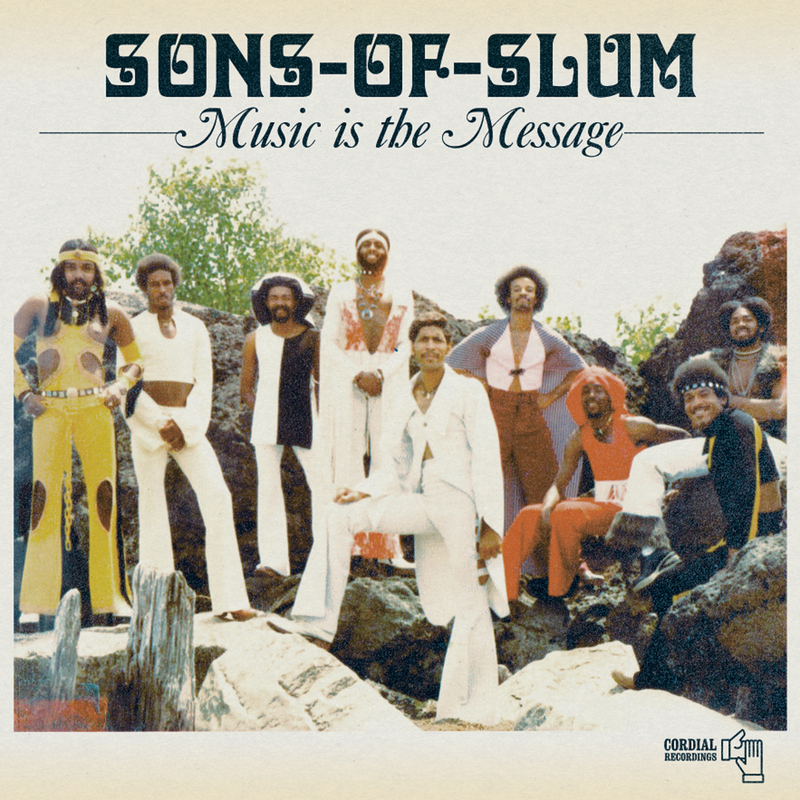 Do you think that the Sons Of Slum were the tightest live act in Chicago in the early 70s? Absolutely. I don’t think it I know it just from what we did, how we did it and the following that we had. I don’t think that they allow it now but back in the day we used to put flyers up on telegram posts and we would have a packed house. It didn’t need to be advertised on the radio because would be packed just by word of mouth. Keep in mind that Stax Records did release a couple of tunes by us. One of them made the top ten in Washington DC from what I heard. I think that was ‘The Man,’ which was written by a gentleman by the name of Homer Banks from Memphis. As a matter of fact on TVS recently there was a special about the early days of Stax and they were talking about the different acts on the label. Since I’ve been back here in Memphis somebody did an article on the Sons Of Slum and other groups that had potential on Stax before the company closed down. I’ve never had the chance to meet that person, but I happened to read it in a local newspaper here some years back by coincidence. They were writing about our group and maybe three or four other acts that Stax had signed that weren’t actually from Memphis, Tennessee that got up in the end of Stax. We had a pretty good album that we were putting together at Stax. I don’t know where it is. There was this company that took over ownership of Stax around 78 because the Barkays released ‘Holy Ghost.’ I went to school with the guys in the Barkays, the bass player, the trumpet player and the drummer. We all went to school together in Memphis, Tennessee. I basically went to school with all the guys that got killed with Otis Redding. We were in the high school band together. The funny thing is that when I think about that Mr Galloway is that at the time the bass player for the Barkays asked me to join the group and my mum told me that “no you’re going to finish school. You’re not going to join a band.” Which was the best thing that she could have done for me because I would have been on the aeroplane with Otis and the rest of the guys when it went down. You think about things when you move on. Did you ever see Otis perform? Yes I did here in Memphis. I got the chance to see him perform once or twice at the Ellis Auditorium. With me being friends with the guys from the Barkays I got the chance to see a few things. I watched them as they were moving up the ladder. They had a hit record with ‘Soul Finger’ at the time.